today, said they will continue to support Saraki as he faces his trial at the Code of Conduct Tribunal. "We have had two votes of confidence on him and they stand. He has the confidence of the Senate and there is absolutely no problem. 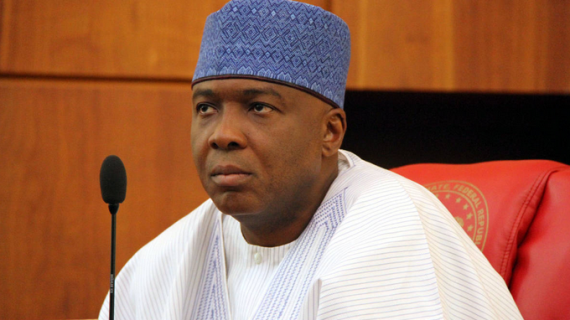 In spite of the disagreement between the APC and PDP senators, nothing has changed. In democracy, people must have different points of view and we must express those points of view. The Senate is a vibrant one that has a lot of vibrant debates; the Senate is not a football team that we all have to play in the same direction," he said. Also speaking, Senator George Sekibo who submitted the petition against Amaechi to the Senate maintained that PDP senators were still behind Saraki. I understand that to a point,a man is innocent till proven guilty,but in this case and bearing what is at stake,you have to stay neutral till a conclusion is reached,especially as it is not a private matter,it is the Federal government questioning your character and trait.So how can senators put personal interest first before national interest?